When people speak of size in reference to air conditions, it doesn't refer to the physical dimensions of the appliance itself, but rather it means the cooling capacity, as measured in BTUs (British Thermal Units). Whether you are choosing a window air conditioner or a central air unit, you will get the best efficiency, and therefore lower operating costs, if you choose based on the size of the area the unit must cool. To choose what size air conditioner is for right for you, you need to first calculate size of the home spaces served by the air conditioner, in square feet. To calculate the size, simply multiply the length times the width of the room or area to be cooled. Then, as a practical number, multiply that total times 25 BTU. This allows ample cooling, whether it is a rainy, moist day or a hot, sunny, humid day. Let’s say the room is 12 feet wide by 15 feet long. That means 12x15=180 square feet. Take the 180 sq. ft. times 25 BTU per square foot and you get the minimum BTU air conditioner you should buy. That means 180x25=4500 BTU cooling capacity is needed. You may ask yourself: will a smaller air conditioner work or will a larger one be better? Here’s a thought about those questions. Smaller BTU units will continually run, just to try to keep up. This will increase your electric bill and it is unlikely the unit will be able to cool the area effectively. An air conditioner too large can be overkill. To dispute the rumor that bigger is better, an air conditioner too large will cool more quickly, but that may impede the reason for running the air conditioner in the first place. You see, along with cooling the air, the air conditioner is also extracting moisture from the air (humidity) that makes all of us feel hot and sticky. Although the air may be cooler, if the unit doesn’t run long enough, the moisture cannot be extracted from the air properly. It would be like being outside camping on a cool, clammy, foggy night. Also, an air conditioner that is too large will cycle on and off frequently. Do yourself a favor and measure the area of the home to be cooled, calculate your BTU needs and size the air conditioner properly. 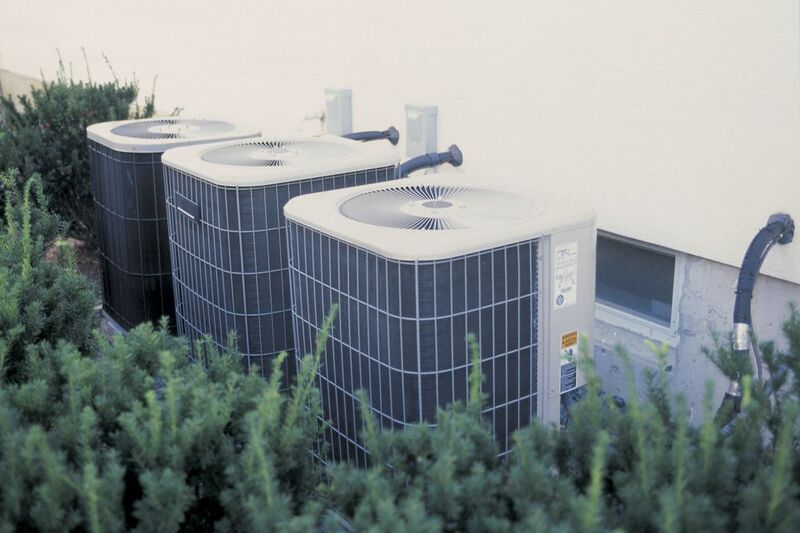 Your local appliance store or heating and cooling center can aid you in selecting the proper air conditioner size for your home. Remember, too little is never enough and too much of a good thing can be bad. Here is a tip: installing a wall-mounted built-in air conditioner, instead of a window air conditioner, is actually more efficient and can do a better cooling job. If you think about it, a window unit likely sits low in the room. Wall-mounted built-in units are usually placed through the wall at around 5 to 6 feet above the floor. Having the cold air filtering down from a higher point has its advantages for stirring the room's air and cooling the room's temperature more thoroughly. The air conditioner thermostat is mounted within the air conditioner, so the higher it is, the better it is for mounting the air conditioner. With a built-in sleeve, the air conditioner unit can be pulled out for cleaning with ease and can easily be removed at the end of the season for storage during the winter. With a winter cap, the opening is sealed until next season's heating comes calling again. Saving a nickel here and there is a welcome thing. If you use a window air conditioner, any type of energy savings will be a welcome thing, especially if you don't have to put out the effort to do it. Thanks to new technology and the innovative efforts incorporated into newer window air conditioners, you'll see savings almost immediately by using new style window air conditioners.